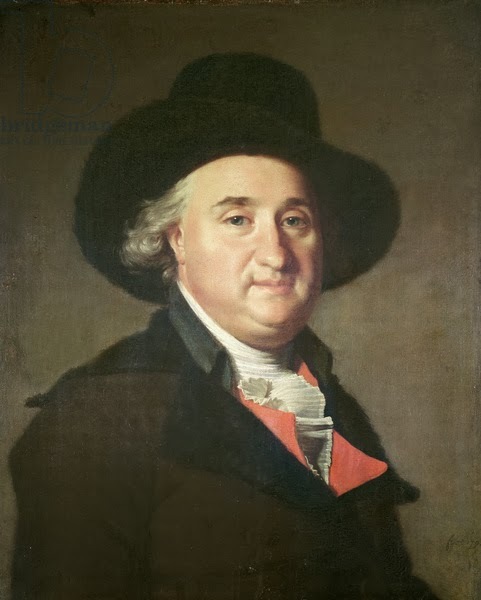 Inscription on the reverse reads "Portrait of Le Bon painted by Dominique Doncre"
This plump affable figure is not how we imagine Joseph Le Bon, implacable Jacobin, confidant of Robespierre and cruel prosecutor of the Terror in the Nord and Pas-de-Calais. Maybe physionomy fails to reveal the soul. But men of the Revolution remade themselves in response to circumstances. In 1792, when this portrait was painted, Le Bon was still a constitutional priest, mayor of Arras or maybe departmental administrator; his career as member of the Convention and représentant-en-mission was still in the future and his capacity for violence latent. This image, the only known portrait of Le Bon, was painted by local Arras artist Dominique Doncre and sold to the Carnavalet in 1884 as part of the collection Dancoisne, which also contained the contested early portrait of Robespierre. Victor Advielle confirms that this painting too belonged to the collector Auguste Demory. Perhaps he acquired it locally, for Le Bon's brother Léandre had lived in Arras throughout the Revolution. M. Advielle observes that the subject seems older than Le Bon's twenty-seven years, but the painting has written on the back, in a poor hand, "Joseph Lebon, painted by Do. Doncre" and "the features are certainly those of the Conventionnel". The lot originally included a silver medal and tricolour cockade habitually worn by Le Bon. 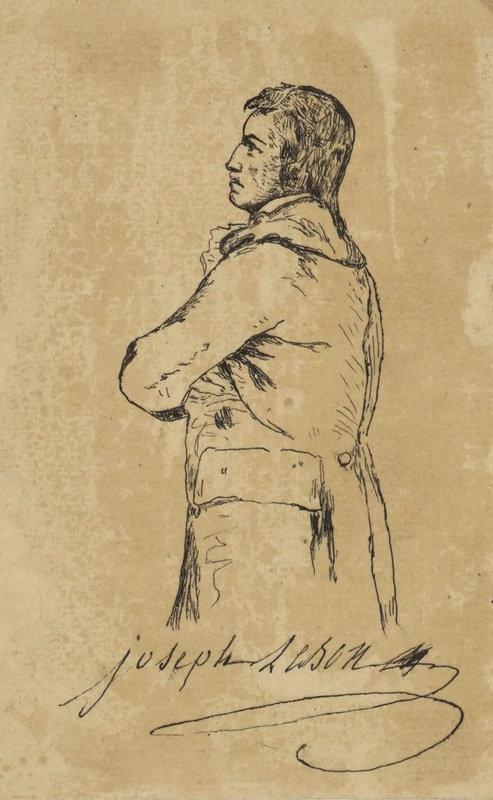 The Pas-de-Calais archives preserves a photograph of the portrait dated 1870, presumably contemporary with the photograph of Robespierre published by M. Paris. M. Le Gentil in his biography of Dominique Doncre, published in 1868, has a nice little story of how the artist obtained a likeness of Le Bon, who consistently refused to pose for his portrait. Doncre was engaged on a commission for Demory, who was then administrator of the department (maybe not the same Demory as this was in 1792? ), He was at the bottom of the garden in the Hôtel Demory creating an enormous "perspective" (presumably some sort of out-of-doors trompe l'oeil canvas, since we learn it was dismantled when the garden was sold). Le Bon happened at the same time to be attending a banquet which was laid out in the grande allée of the garden. Doncre seized the moment, surreptitiously roughed out a portrait on a torn-off bit of canvas, and finished it at leisure later in his studio. C. Le Gentil, Dominique Doncre (1743-1820) , p.31-2.